Pittsburgh, PA: The Steel City, The City of Bridges, The 412, The Golden Triangle, The City of Champions. Whatever you call it, for the 27 of us recent college graduates of UPMC’s Information Services Division Rotational (ISDR) program, Pittsburgh is simply known as home. 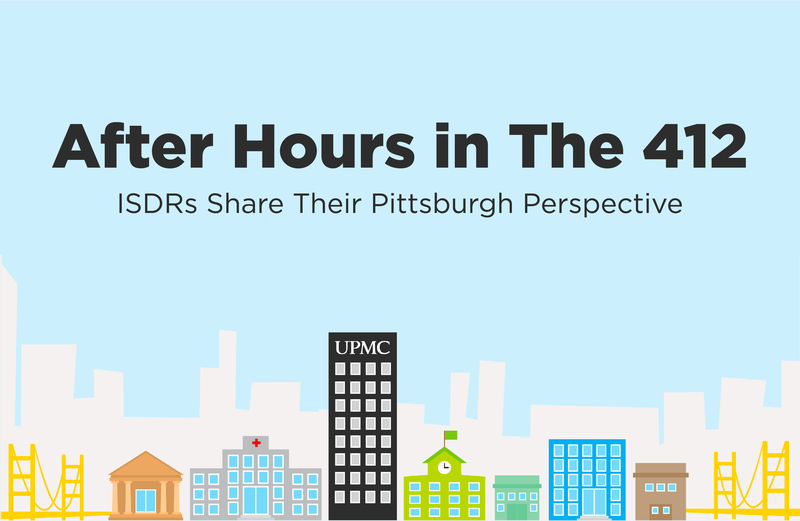 Pittsburgh is the city we work in, live in, and play in over the course of this two year program, and has proved to be a great asset in our experiences as ISDRs at UPMC. Below you can find all of our answers for what a few of us love about Pittsburgh, and why we’re glad to call this place home during the ISDR program! Whether it’s exploring the art scene, cheering at a Pirates game, going to one of many city parks, or enjoying a meal at a great restaurant, there’s a place for you in Pittsburgh! Take it from us: Pittsburgh is worth its weight in (black &) gold! A quality life goes beyond the time in the workplace and extends to our experiences after work, too. If you’re on the fence about relocating to Pittsburgh, let us assure you that this city has something for everyone. We are proud to call this city of bridges and champions our home! All that’s left to say is: Won’t you be our neighbor?